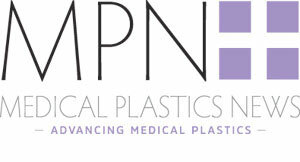 Medical Plastic News takes a look at how MD&M East is showcasing the best of 3D printing and smart manufacturing technologies. 3D printing's effect on the future of the medtech industry is a focus across this year's event, with a spotlight on materials, prototyping, and the finished product. The expo floor will host a dedicated 3D printing zone, featuring leading organisations making strides in this sector, while the two-day 3D Printing Innovation Summit is designed to give you the in-depth education you need to fully understand and apply the latest developments. 3D printing has gone mainstream, widening the market for printer manufacturers, as well as material, software and service providers. The trend is currently at the forefront of the industry and will likely continue to be a major influence in the years ahead. For this reason 3D printing will be a key focal point throughout the New York event. From a dedicated area on the show floor featuring leading suppliers and technologies to the two-day 3D Printing Summit, the aim is to put this technology in the spotlight. The smart manufacturing focus will give visitors the opportunity you to explore collaborative robots and robotics accessories on display from the world's leading suppliers. Free activities will connect visitors with the leading technologies and professionals building the factories of the future. There will also be the opportunity to attend the three-day, expert-led Smart Manufacturing Innovation Summit. Technological advancements in connectivity and the shift to the digital enterprise are transforming the advanced design and manufacturing industry. From increased human-machine interaction and collaboration to real-time communication, cloud computing, and IOT to cyber-physical systems, and interconnectivity, the pace of change is rapid and exciting. A range of smart manufacturing elements – industrial robots, collaborative robots, connectivity, software, sensors and much more – are featured within ATX East and EastPack as well as the other advanced design and manufacturing co-located shows. $548.14bn the worth of the global manufacturing market by the end of 2024, up from $159.05bn in 2015.